Lunati 10120704LK - Voodoo Hydraulic Flat Tappet Camshaft and Lifter Kit Chevy Small Block 262-400 Lift: .504" /.525"
Does COMP Cams CL12-211-2 fit your vehicle? 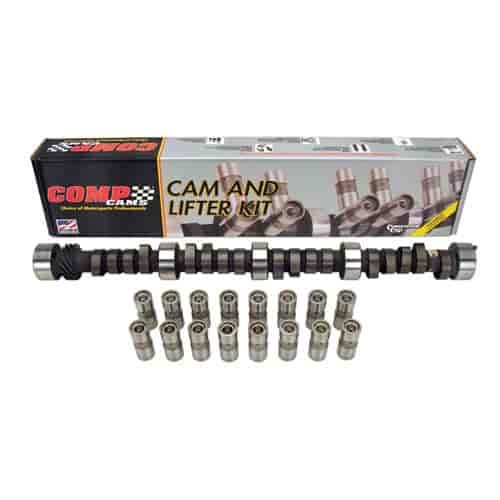 CL12-211-2 - Comp Cams 'Magnum' Hydraulic Flat Tappet Camshafts is rated 5.0 out of 5 by 3. Rated 5 out of 5 by Falcon kid from Have used this cam 4 times now. Installed into a .060 over 283. Little radical in it but that's what I was looking for. Other 3 times has been in a 355. Great cam in 350 for performance on the street. Does This Cam &amp; Lifter Kit Have A Camshaft Dowel Pin For The Camshaft Gear Or Does One Come With The Timing Chain Set ? That cam will have a dowel pin in it.